New York City eviction proceedings have long been a tale of the powerful versus the powerless. Historically, renters hardly ever receive legal representation in eviction court proceedings, but landlords almost always do. (And this is true in housing courts everywhere across the country!) As a direct result of tenants lacking legal representation, in New York City, thousands are evicted each year, allowing landlords to raise rents for the new renters who move-in to newly vacant homes. Due to complex and sometimes inaccessible legal barriers, marginalized families often are unable to challenge deplorable living conditions in court—even if, in the worst cases, low income children have been poisoned by lead exposure in their homes. To remedy a major piece of this injustice, renters in New York City led by the Right to Counsel Coalition (RTC NYC) waged a 3-year campaign to institute a civil right to counsel for low income renters facing eviction. In 2017, RTC NYC’s organizing efforts led to the passage of Intro 214-B, which cleared the New York City Council and was signed into law by Mayor Bill DeBlasio. When fully implemented over the course of 5 years, the law will ensure that all income-eligible renters in New York City facing eviction are represented by attorneys. Currently, an estimated 400,000 renters would be eligible for protection under Intro 214-B. The law is anticipated to prevent 5,000 families per year from experiencing homelessness, and save the city $100 million annually, due to decreased homeless shelter costs. “This new law is a historic step forward in the fight against unlawful evictions,” said City Councilman Mark Levine, lead sponsor of Intro 214-B, at the law’s signing ceremony. But the passage of Intro 214-B did not happen overnight. It required years of building tenant power and sustained community organizing. And it required the engaged leadership of low income tenants—especially those who had experienced evictions. One such story comes from Randy Dillard, a father of five from the South Bronx and a tenant leader at CASA, Community Action for Safe Apartments. Randy shared his story at NLIHC’s 2018 Housing Policy Forum: Building the Movement. In 2013, Randy was hospitalized for two months with emphysema. He returned home to find eviction papers for rental nonpayment. Luckily, Randy found a legal clinic that defended him in housing court, which helped his family narrowly avoid becoming homeless. Randy became a CASA member following this experience with near-eviction. Also in 2013, CASA and the Urban Justice Center released a report recommending reforms to New York’s housing court—including the right to counsel for New York renters facing eviction. RTC NYC formed soon after, in 2014, as a partnership of more than 100 tenant organizing groups, tenant advocates, academics, senior advocates, disability advocates, homeless advocates, labor unions and legal service providers, including CASA, to spearhead the passage of a right to counsel law. That proposal became known as Intro 214. RTC NYC’s organizing efforts included a daylong forum, drawing crowds of close to 500 people, featuring speakers such as New York Court of Appeals Chief Judge Jonathan Lippman, New York City Human Resources Administration Commissioner Steven Banks, and New York Law School Adjunct Professor Andrew Scherer. RTC NYC also collected thousands of signatures on petitions, received support from 42 community boards, got the backing of 100 faith leaders, received a New York Times editorial board endorsement, arranged numerous rallies and press conferences, and coordinated eight hours of City Council testimony. NLIHC was honored to recognize RTC NYC’s organizing and accomplishments with the 2018 Trailblazer Award at the 2018 Housing Policy Forum: Building the Movement. We look forward to the benefit these accomplishments will bring to low income New Yorkers, and the positive ripple effect for movements elsewhere across the country taking inspiration from RTC NYC’s work. Isaiah Milbauer: How did you recruit organizations to join RTC and incorporate the leadership of low income tenants? Right to Counsel New York City Coalition: Well the leadership of tenants who are directly impacted by evictions was always central–the coalition really started that way. So at every coalition meeting, where there were attorneys, paid staff, organizers, etc., there were always tenant leaders. We also had a decision-making structure that prioritized the organizing groups voices on issues where that was really necessary—so in terms of negotiating the legislation, or planning a press conference, etc., the organizing groups who are accountable to members took the lead on those decisions. In terms of building the membership of the coalition, we built relationships with folks and we also knew that this isn’t a “tenant issue,” because our members are just tenants! They are seniors, workers, folks with disabilities, etc. And housing is such a central issue in NYC, that we knew a broad based coalition would be possible and we also knew it was necessary because of the fiscal impact of the legislation and because the Mayor and Speaker did not voice support for the legislation for the first few years—they agreed with the idea but said it was either too expensive or that it was the state’s responsibility. Most people told us we would never win this—that it was so big, so expensive, such a sea change—it just couldn’t be done. So, centering the leadership of tenants who were fighting evictions kept us on track to say we can’t accept that and also pushed us to build a coalition with the power we needed to win. IM: How did you build consensus on how to approach the issue of a right to counsel in eviction proceedings? How did you coordinate efforts between member organizations? RTC NYC: Honestly, that wasn’t hard. Studies show that anywhere from 50-80% of tenants who are evicted today, wouldn’t be evicted if they had an attorneys. That is thousands of families. thousands of workers. Many of whom end up in the shelter system. And many of whom are evicted from rent stabilized housing. Not to mention that evictions are a precursor to suicide and incredibly traumatic. So, evictions are about power. The idea that we put people on the streets, as a solution to honoring landlords right to get rent, is unacceptable. Now you have that on top of the fact that there are people who are on the street that the law should protect? That’s a really strong indicator of who and what we value in this country. So we really saw eviction defense as a part of the fight for housing to be a right. But to answer your question, we had monthly coalition meetings and working groups that would meet in the context of those meetings, in break out groups. That way different folks can participate at different levels but everyone can be a part of the larger work of the coalition. We met monthly, though there were times during the campaign, where we met every two weeks or more often if we needed to. We did our best to make decisions by consensus, though recognizing that not all voices are equal as I mentioned earlier, and we also did different things like developing principles for the coalition that folks signed on to, had different levels of participation for members vs. supporters, etc. IM: How will RTC NYC’s work continue through the implementation of Local Law 136? RTC NYC: The administration committed to funding legal representation or attorneys but not organizers. So while the city will do outreach and advertising, it didn’t fund community based groups to do outreach and organizing. And because of our work, we know that you can’t address power and inequality with outreach and advertising. You need to build relationships and confront power and isolation with the community and collective power. So, we are working to coordinate the organizing efforts in every neighborhood that has RTC, so that folks know they aren’t alone when landlords threaten them for “lawyering up,” and also that they know other tenants who have decided to fight, and that they know they are worthy of fighting. There is a lot of shame in evictions—and we have to confront that. Also, we have to fight evictions, collectively, as a political issue. There are landlords who sue everyone when they buy a building as a business practice, threaten everyone with calling ICE, etc.—so we are working with community groups to really strategize about organizing to claim the power of eviction defense and also to use it to build other organizing strategies. We are also working on the court based implementation—everything about how the court works is changing. We are working on helping to develop a pipeline of movement attorneys to do this work and we are actively working with cities throughout the country who also see eviction defense as a tool in fighting displacement, gentrification and for community control and community power. IM: Who were the unspoken heroes of this campaign? RTC NYC: Something we were always mindful of during the campaign was that people were being evicted every day. Deciding to fight is also deciding to take a risk—and without RTC so many people took that risk. Many lost and many won. All of them are heroes. And all of the tenants today who are deciding to fight to stay and to build this city are heroes. IM: What’s next for RTC NYC? Does the coalition plan to tackle right to counsel in other metro NYC jurisdictions? Will you turn your attention to other housing justice issues in the city? RTC NYC: Definitely–when we are asked to! We want to be a resource to organizing groups in other cities who want to have the right to an eviction defense. So when cities reach out to us, we are happy to share everything we have because we know that oppositions actions and narratives are often similar. We know the context in other cities is different but we think that if we can do this is the real estate capital of the world, the place where it’s most expensive to do it, we can do it anywhere. We are really excited to be collaborating with the San Francisco Tenants Union, who has RTC on the ballot and the Homes for All Campaign in Newark, who recently got an endorsement of RTC from Newark’s Mayor. Really exciting! In addition to those cities, we are talking to folks and sharing information in about a dozen more cities. We just created a new civil right—that shouldn’t be exclusive to NYC. To help support that work, we are working on raising funds to create a campaign toolkit and a documentary about our campaign, that hopefully will be good resources for folks in other cities. And of course, RTC isn’t the only housing issue we work on! Many members of the coalition work on strengthen the rent laws, fully funding public housing, creating community land trusts, etc. The work doesn’t end with eviction defense of course–we have to address the underlying causes that create the system of housing as we know it today. IM: What advice do you have for organizers and coalitions in other parts of the country advocating for citywide solutions to housing injustices? RTC NYC: Demand the impossible!! Often we lose because we accept compromise, thinking it’s all we can get. We have to demand what we deserve and what we need. And then build the power to win it. It might mean we lose along the way, but as long as we are building power as we move along, we can do anything. I also think that now is a critical moment in our history where the crisis is so deep, that we have to offer solutions and alternatives and I think they have to be solutions that don’t just demand more from the private market but that question the market’s ability to deliver needs, like housing. There are no great solutions coming from anywhere other than from us. 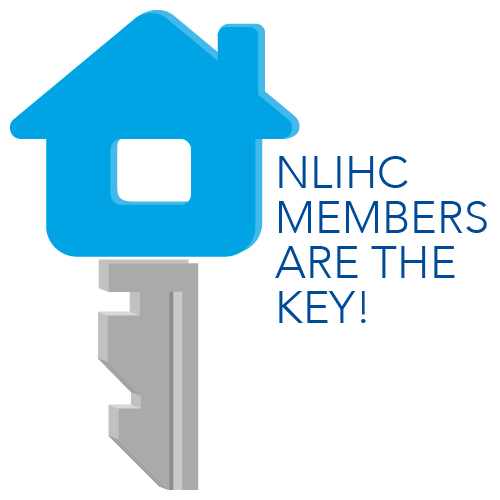 This post is part of a series featuring interviews with 2018 NLIHC Organizing Awards winners and top nominees.